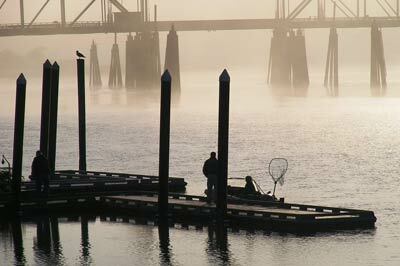 Anglers residing in or visiting the state of Oregon possess a clear bonus if they go fishing. They do not only take advantage of the estuaries and rivers, channels and ponds of the area, they also are able to take part in deep-sea and coast angling on account of the Pacific Ocean. Local Oregon Fishing Guides deliver their own pro knowledge of regional fishing locations and bring you to the place they’re biting. Oregon Fishing Guides in general deliver the results more in-land and with those that have some equipment of their own, consult with your Oregon Fishing Guide to make sure. For deep-sea undertakings and larger groups, Oregon Fishing Charters are a brilliant option. 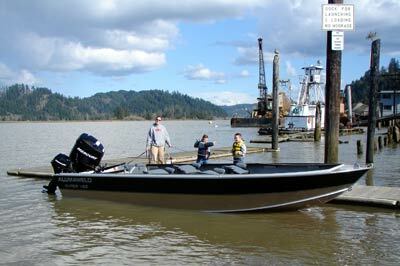 Oregon Fishing Charters provide you with the boat and the equipment depending on where you will fish and what you desire to catch. From locations such as Newport you will catch everything from Tuna, Salmon, Rockfish and many others; but you will not want to miss Oregon’s Spring Halibut season – it is fantastic! “Oregon is a state in the Pacific Northwest region of the United States. It is located on the Pacific coast, with Washington to the north, California to the south, Nevada on the southeast and Idaho to the east. The Columbia and Snake rivers delineate much of Oregon’s northern and eastern boundaries, respectively. Oregon has one of the largest salmon-fishing industries in the world, although ocean fisheries have reduced the river fisheries in recent years.” Oregon is a preferred fishing destination in the United States Locating a Oregon Fishing Charter or Oregon Fishing Guide will help to increase your odds of bringing in the big one, and help you to enjoy yourself on your angling expedition. There are so many great spots to fish in Oregon, check out just a small number: Columbia River, Clackamas River, Hood River, Trask River, Willamette River, Rogue River, Diamond Lake, the Pacific Ocean.